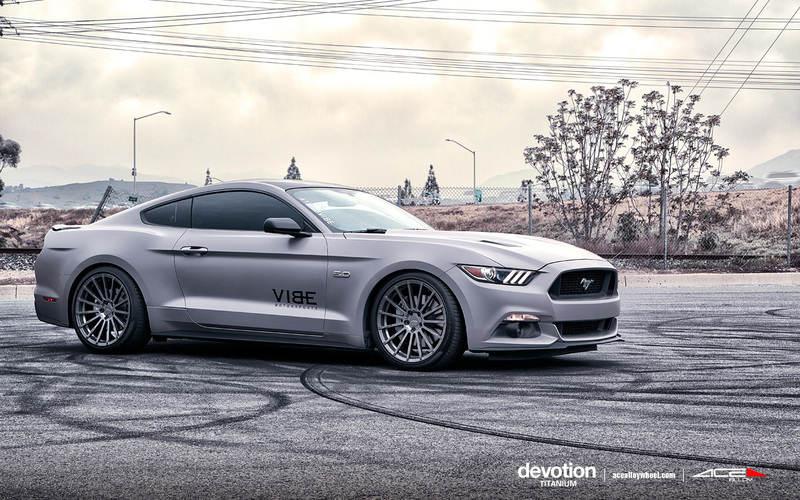 2015 starts an all new design era inside and out for the Ford Mustang. 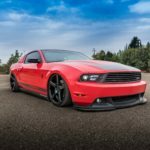 For the first time ever, since it’s introduction over 50 years ago, the Ford Mustang will be available around the globe! Gone are the days of the solid rear axle, as an independent rear suspension has found its way into the car for the first time in a decade. 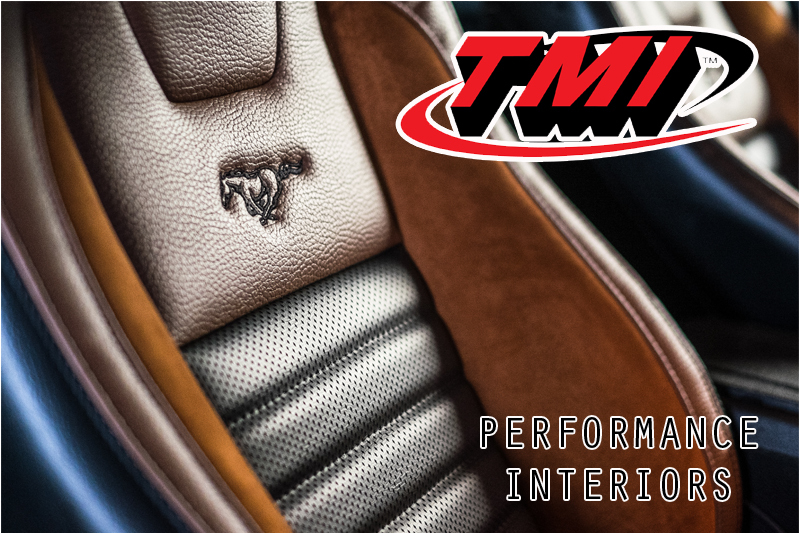 Combine all the technology the Ford Engineers have packed into this platform, along with a wide variety of engine choices, and this car will be a popular choice among tuners worldwide. Regarding modding, the question is where do you start? First and foremost, Air Lift Performance (ALP) suggests doing away with that monster truck stance. 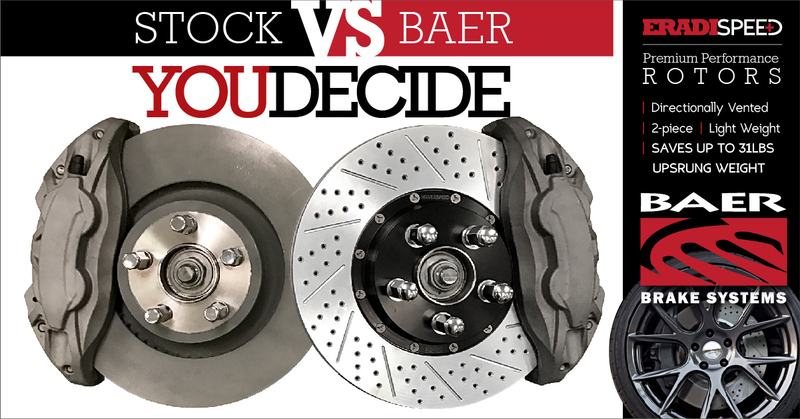 Sure you could get low with lowering springs or coilovers, but do you really want to worry about scraping or dealing with the harsh ride quality from traditional lowering methods? 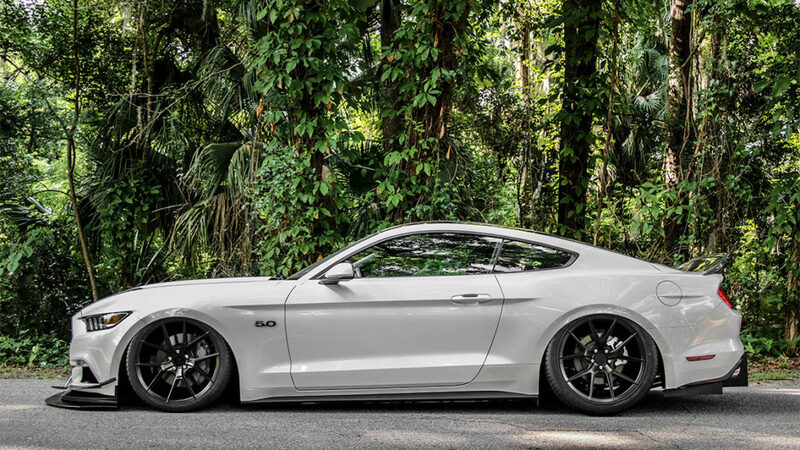 Their ALP engineering staff set out to produce the best, no compromise lowering solution for the S550, and they nailed it! 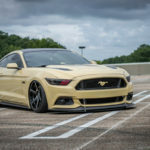 For starters, they mated their compact double bellows air spring onto 30-level damping adjustable, monotube, threaded body struts with independent ride height adjustment. 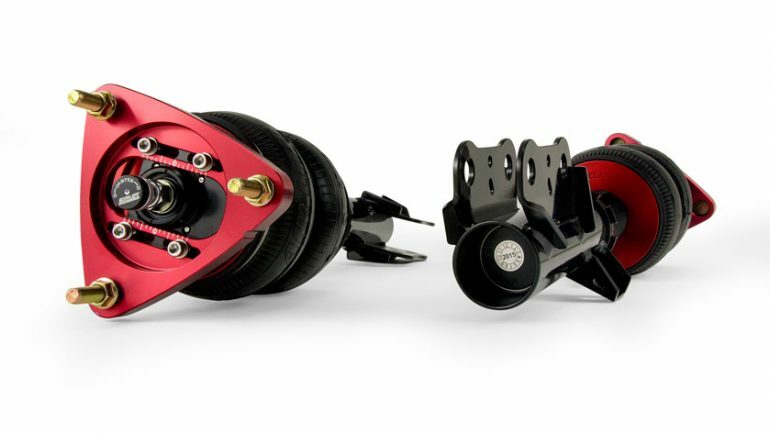 To keep your alignment straight, they topped off the struts with adjustable camber plates made of T6061 red anodized aluminum, which utilize high quality spherical bearings for precise damper response and steering feel while providing up to 3 degrees of negative camber adjustment. 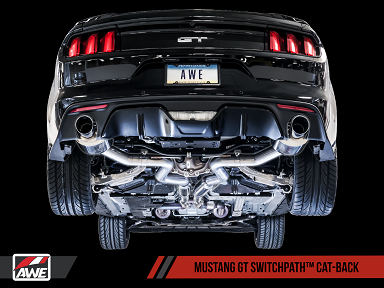 They have even included shorter sway-bar end links to give you the most complete and lowest option for your Pony. 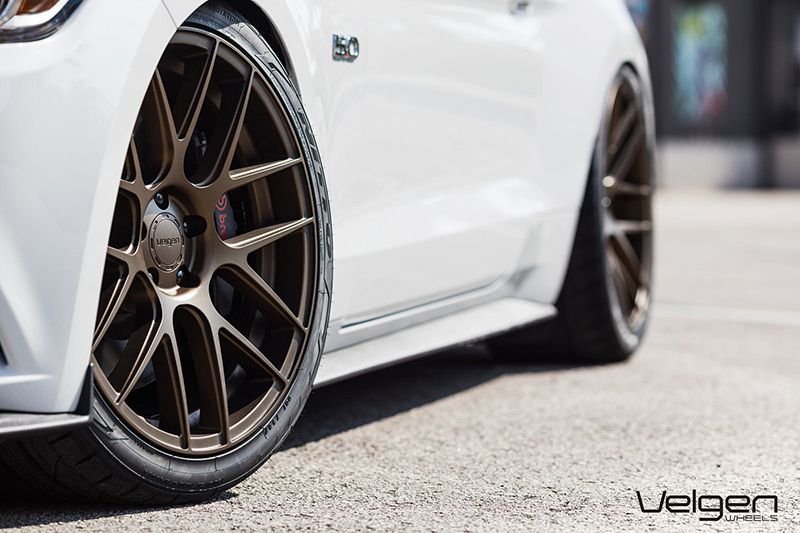 Throw all this together and you come up with a front suspension that will allow you to go 5″ below stock! 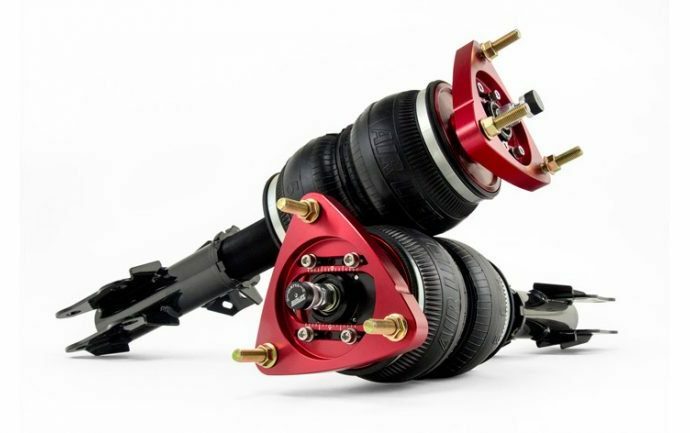 To emphasize the performance capabilities of the all new independent rear suspension, they replace the coil springs with smooth-riding double bellows air springs giving you a total of 5.1″ drop from factory. 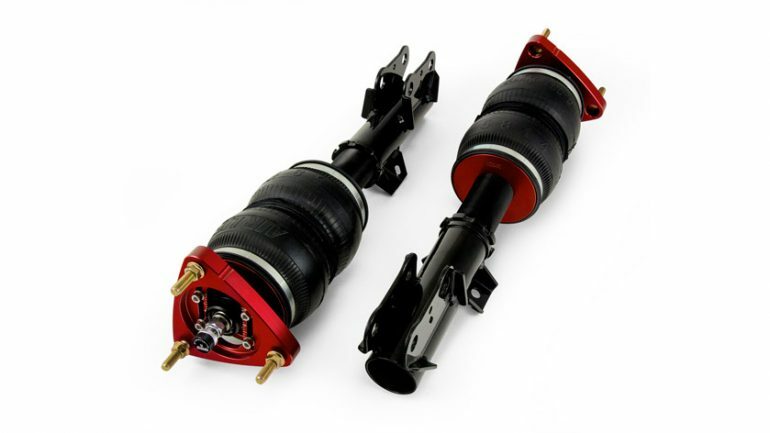 To help you stay firmly planted in the curves, and put big power to the ground, ALP provides 30-level damping adjustable, monotube threaded body shocks to compliment the front. 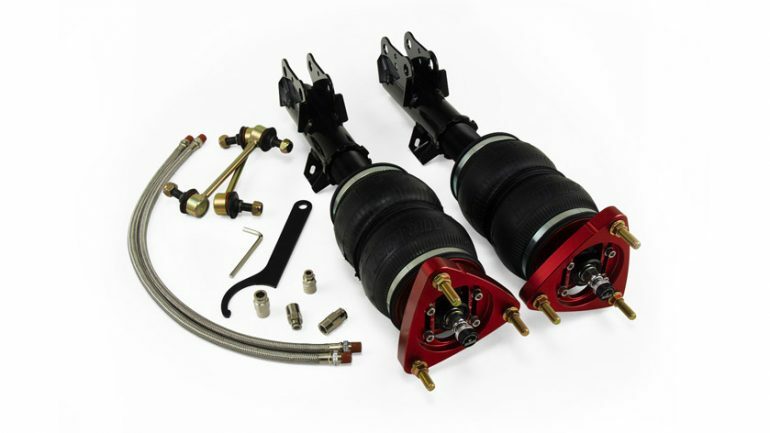 In order to bring to market the most durable air suspension products possible, Air Lift Performance tortured the components of this kit to 1 million cycles (equivalent to approximately 100,000 miles) on their hydraulic test rig at temperatures from -30 deg F to 150 deg F. Couple this test lab work with thousands of miles of on-road testing — not to mention the one-year manufacturer’s warranty — and this is a kit you can count on to handle whatever the road throws down!